Sony is releasing flagship smartphones at a furious pace. 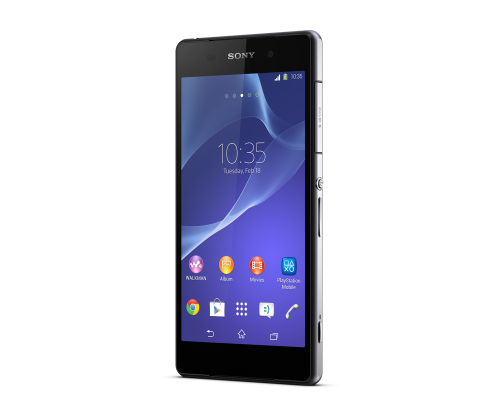 Barely six months after the Xperia Z2 was announced, the Z3 is already here. If you don't need to have the absolute latest and greatest, there's a good deal on the Z2 today. Just $399.99 gets you a new unlocked device compatible with US LTE bands. The listing is for the D6503, which has just about every HSPA and LTE band you could imagine for use in North America and beyond. 3G supports 850/900/1700/1900/2100, and LTE is 1, 2, 3, 4, 5, 7, 8, 13, 17, and 20. So that covers AT&T and T-Mobile, as well as other GSM/LTE carriers. The device has a 5.2-inch 1080p LCD, 3GB of RAM, and a Snapdragon 801. This exact phone is still for sale on the Sony store for $529.99 after debuting a few months ago for $750. This deal comes with free shipping in the US (both black and white models), with tax only in Missouri. There's international shipping too, but import charges will probably eat up most of the savings.